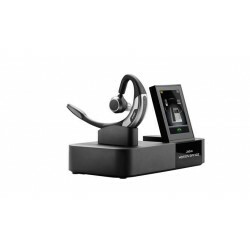 Jabra Motion UC MS is the ultimate headset for Unified Communications, featuring the latest intelligent technology that allows you to communicate easily, both in the office and on the go. Built-in motion sensors react to your movements and different sound environments, enabling intuitive call control, unsurpassed battery performance and superior audio quality. This version is also certified for use with Microsoft Lync & Skype for Business Software. 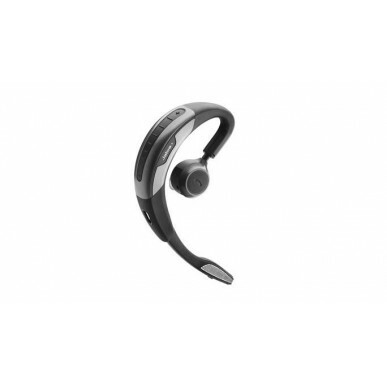 Jabra Motion UC MS is one of the first headsets with NFC technology - just tap them together and the headset connects with your smartphone. And with best in class wireless freedom you can enjoy 10 times the range of similar headsets on the market from your Bluetooth Class 1 PC, tablet and smartphone. When used with Lync & Skype for Business you get full integration, including automatic updating of your UC presence status when on a smartphone call. The Motion has just one wearing style, it's an unusual (but comfortable and stable) over and under ear model with ear gels. Sorry, no headband option. 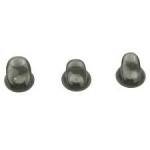 This headset has an adjustment we've not come across before - you can adjust the length of the part that goes from the top of your ear down to the part that goes in your ear. So if you have larger or smaller ears and have problems getting the right fit in over the ear headsets, this may be the answer to your prayers! The Motion UC MS has all the latest bells and whistles of 2014. User friendly features, extended range and just about the best sound you can get with Bluetooth all make this a very attractive package for use with your Mobile and Laptop or PC (inc Apples). 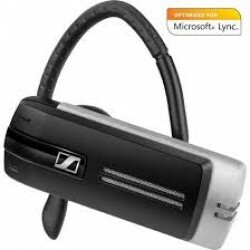 Other models to check out; For something discreet but still excellent sound quality, thea href="https://www.simplyheadsets.com.au/sennheiser-presence-uc-ml-bluetooth-headset.html">Sennhesier Presence UC ML is certainly worth a look. 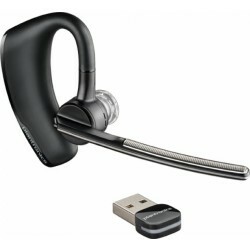 The Plantronics model is the Voyager Legend UC-M. You can also add a desk phone into the mix with the Motion Office. INTUITIVE CALL CONTROL: Jabra Motion UC automatically answers when picked up and adjusts speaker volume to your movement and surrounding noise - all because of the built-in motion sensors. With the voice control youcan pick up just by saying “answer” and the foldable boom arm alsomakes it easy to answer and end calls. BEST IN CLASS WIRELESS FREEDOM : There is no need for bringing the phone around the office or the house. 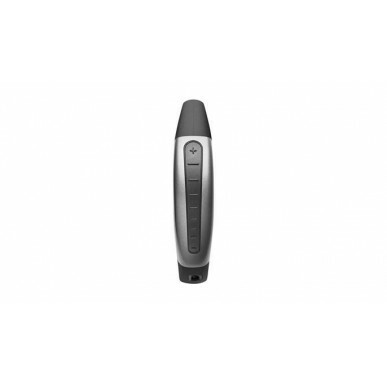 Bluetooth® Class 1 gives you wireless freedom with a range of up to 100m/300ft from your PC, tablet or smartphone. That is 10 times the range of similar headsets on the market. 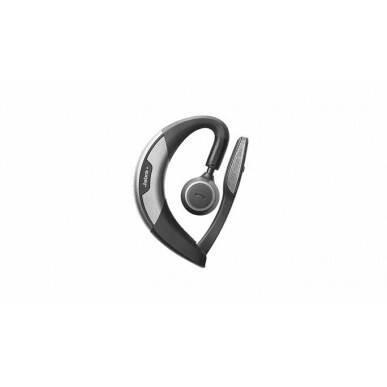 CUSTOM FIT FOR OPTIMAL COMFORT: As the only Bluetooth headset on the market, you can adjust the height of the speaker house and with 3 sizes of ear gels, the headset can be custom fit for all day comfort. 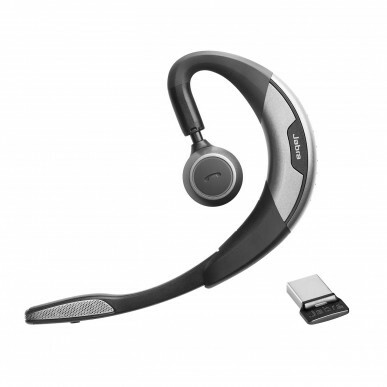 CONNECTS DEVICES WITH A SIMPLE TOUCH: Near Field Communication technology (NFC) makes it easy for your Jabra headset to instantly connect and interact with phones, tablets, and interactive tags. It requires no more than a simple touch. Just tap the phone and the headset together and they are connected. These headsets are great! We use them for skype for business. We have about 4-5 now because we find it easier to have the earhook instead of the head piece. Had some teething problems when connecting to the computer but once we sorted it they work great!